Listed below are the special features from the Blu-ray. Disney has a track record of only putting the best features on the Blu-ray, not the DVD, so if you want the behind the scenes extras the Blu-ray is the way to go. They still haven't put everything currently available to view online on the discs though! (Seems crazy to me.) I wish there was more from Sondheim and Lapine, a comparison to the original screenplay, a shout-out to the original Broadway cast, some development artwork and story research notes... Anyone who is interested in this as a play, who is looking at tropes or as a lyricist is going to feel frustrated (including me). There is a filmmaker commentary though and Rob Marshall isn't just a technical conductor with regard to his films. He's very involved in the "how" and "why" of each scene and moment, so hopefully there will be some great gems from him on here. There's also the newly written, then deleted song. Disney released an excerpt of it late Friday as a DVD teaser (it was filmed for the movie, not just recorded and was cut late in editing so it's a fully produced version). Streep Sings Sondheim – ‘She’ll Be Back’ (4:35) – Meryl Streep performs a compelling new song that sheds a little more light on the Witch’s relationship with Rapunzel. This never-before- seen composition was penned especially for this movie by Stephen Sondheim and James Lapine, and is seen here exclusively on Blu-ray and EHV. With introduction by Director Rob Marshall. There’s Something About the Woods (12:46) – Journey into this mysterious forest to discover how this compelling, new musical was made. 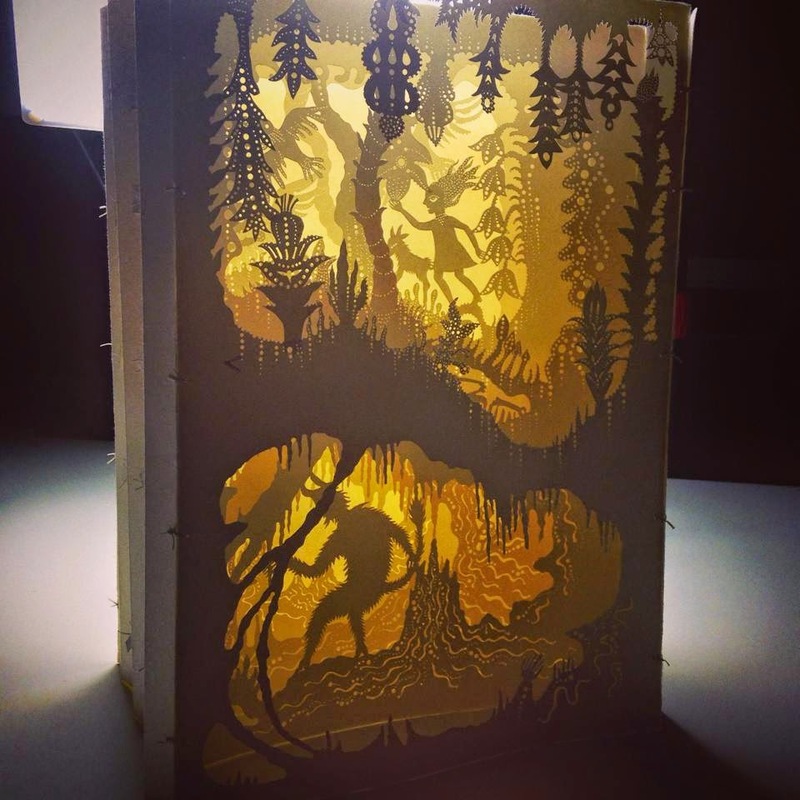 Meet Director Rob Marshall and his award-winning team of artists and craftspeople, see how the woods were brought to life…and what they represent to the story… and to all of us. The Cast as Good as Gold (9:42) – Emily Blunt. Anna Kendrick. Chris Pine. James Corden. Johnny Depp. Meryl Streep. Meet the remarkable cast of this musical movie, and hear of their affinity for this Broadway classic. You can pre-order via Amazon (they've updated with the proper images now) or through the official Into The Woods movie site. For lucky New Yorkers (and those visiting before the end of March) there is a very special solo exhibition you need to put on your "must see" list, that just opened (February 21st, 2015) at the Nancy Margolis Gallery. 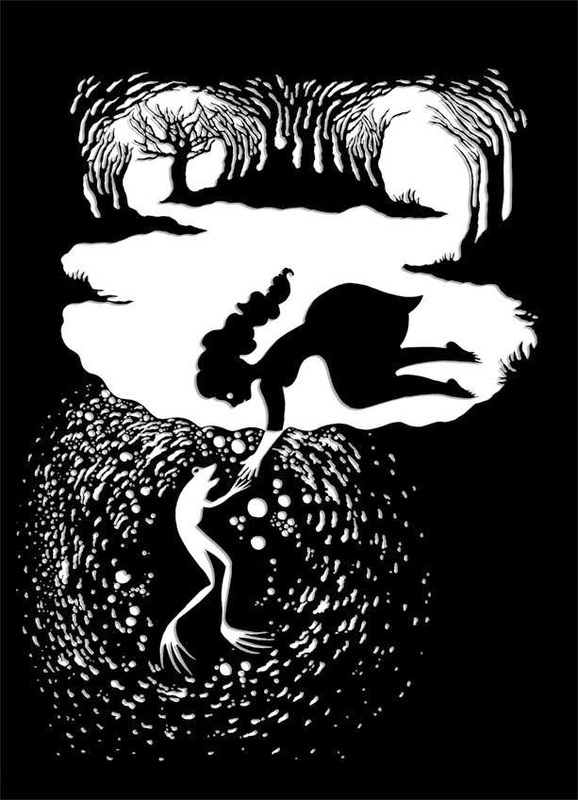 Much of the art was created specifically for Grimm's fairy tales and the artist is Andrea Dezsö. 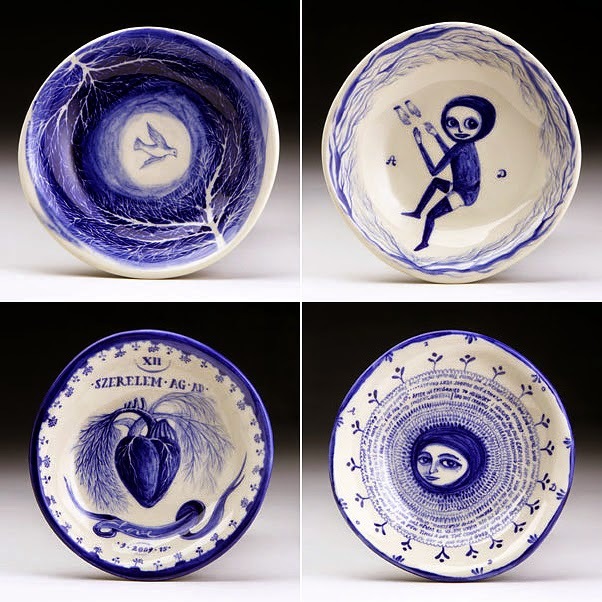 If you're not familiar with the name Andrea Dezsö it's probably not because you haven't seen her work. You have; especially if you're a regular reader of this blog. 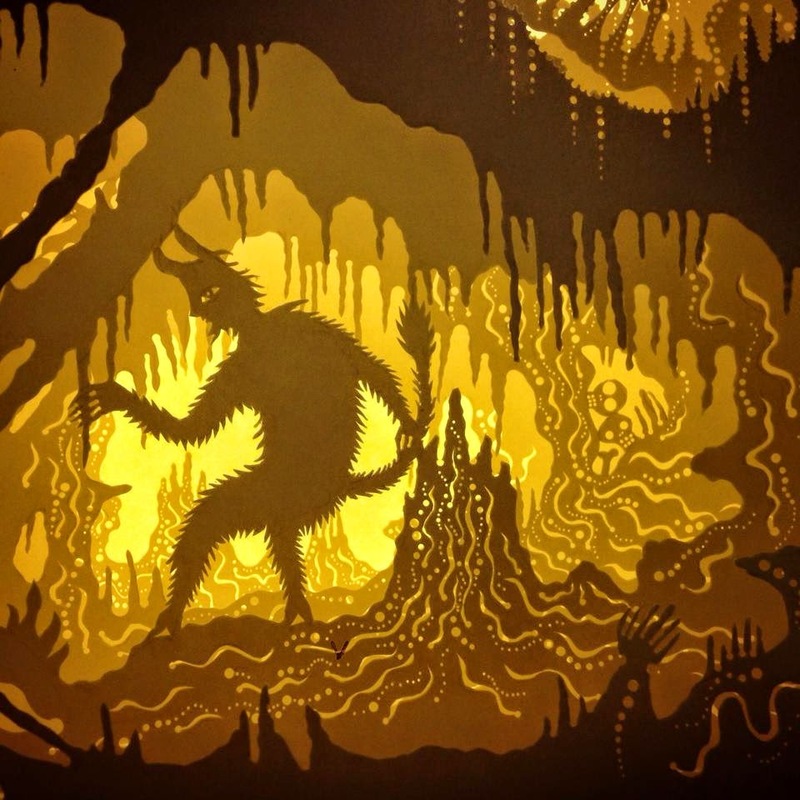 One of her most recent projects was completing twenty different illustrations for Jack Zipes new translation of the Grimm's First Edition (twenty-one, including the cover) and these special pieces are a large part of the gallery showing. Her silhouettes communicate a raw folk-like quality like the unvarnished tales they accompany. And Ms. Dezsö is not new to getting to the heart of a subject, nor to folktales and fairy tales either. Her self-portrait (see the head of the post) illustrates just how important a theme this is to the artist, showing the essence, the true tale, inside something, or someone. It should come as no surprise that she's often called on for editorial work as a result. 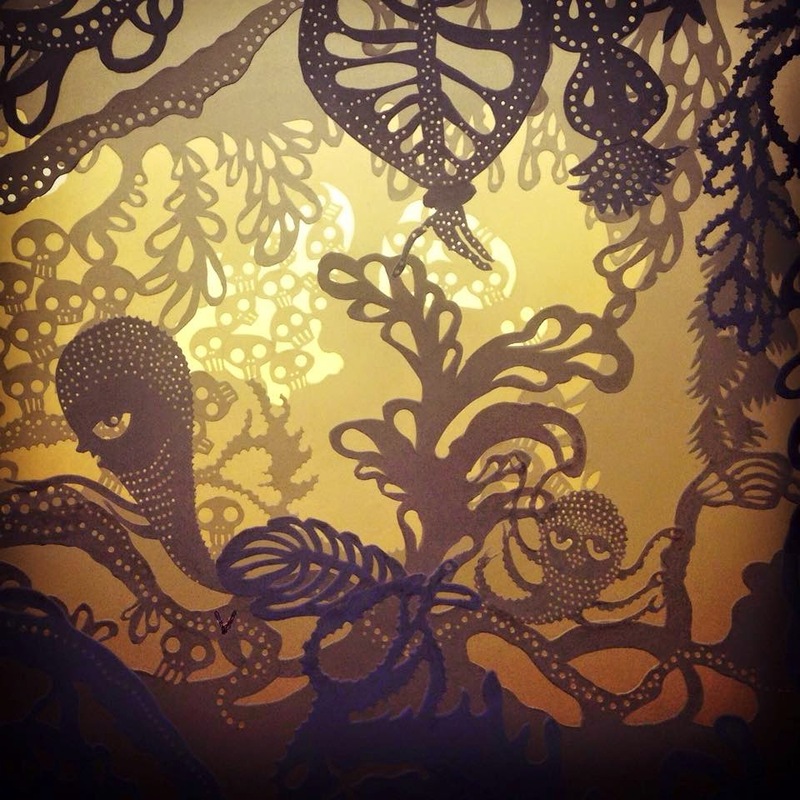 Although am award winning illustrator and known for her distinctive silhouette work (something I find truly interesting - showing the outline to show the inside..), it becomes quickly apparent this artist isn't limited to any one medium at all. 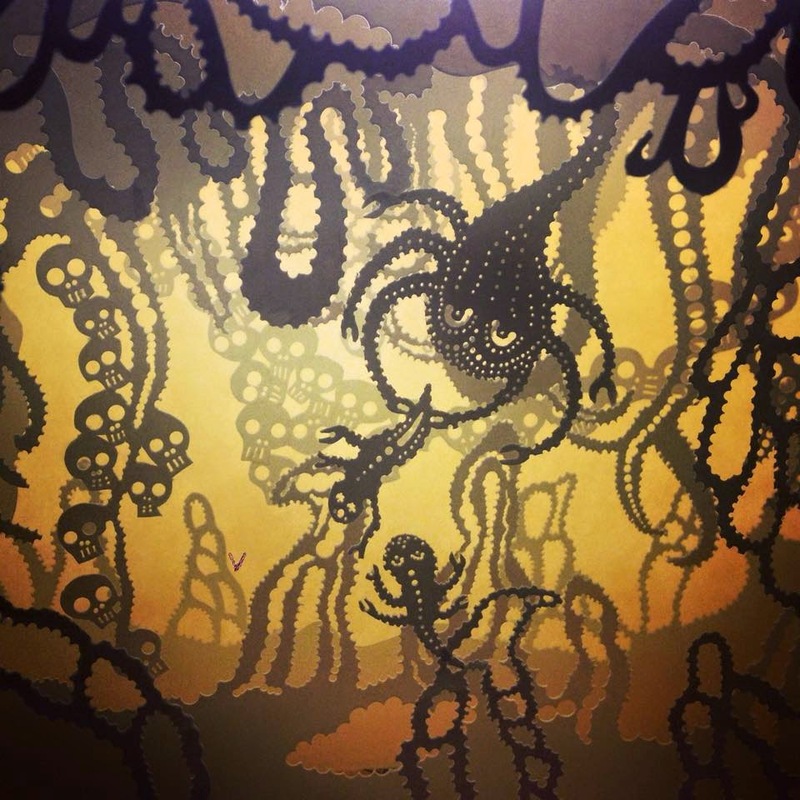 While she does work with paper, she also uses etched glass, mosaics (small and wall+ sized! 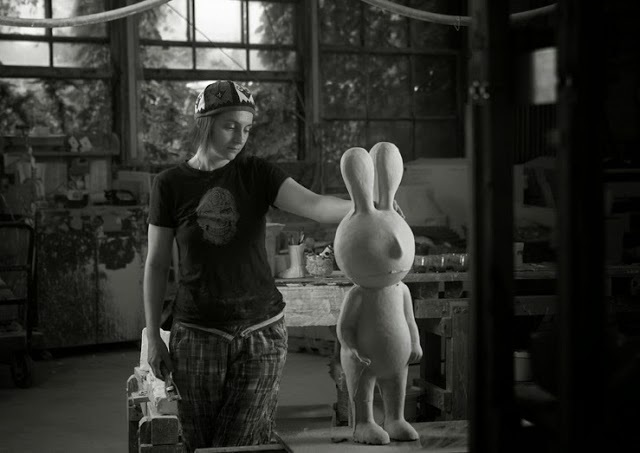 ), paint, ceramics, puppets, animation, mixed media sculptures, giant public murals ad site-specific art, stainless steel sculptures... pretty much anything she seems to be able to get her hands on. I don't know if the term was coined before she made it popular but Dezsö is also known for her "tunnel books" and "tunnel installations". A recent and extremely popular exhibition had people walking inside of giant cut outs, lit in different sections, as if one were walking through a story. Often she returns to books and to tales and folktales, the theme often returning to looking at the inside and of seeing through layers. More recently, and included in the Nancy Margolis Gallery exhibition, is a new form of tunnel one, one in which she translated her tunnel book technique to glass! 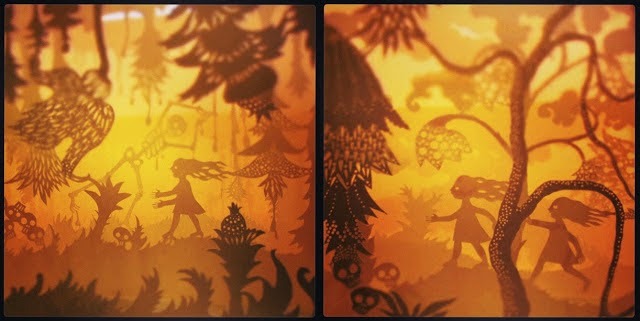 "I wished to find the heart of each tale and express it visually. My aim was to create a feeling of atmosphere that could convey a strong sense of place and I wanted the drawings to look like made-up folk art, instead of simply relying on details from the region or period." 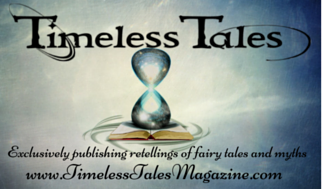 "I chose tales to illustrate that gave me immediate, strong mental images as I read them. The images that popped into my mind first are generally what I illustrated. 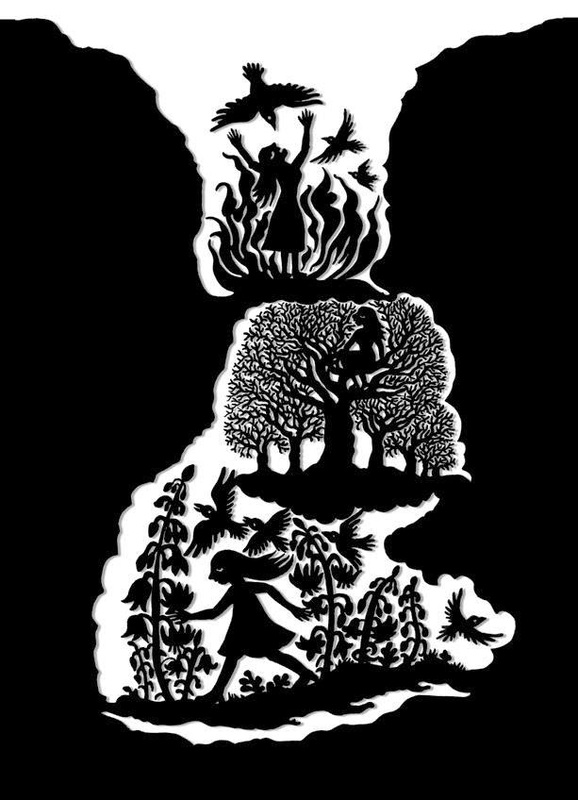 Using silhouettes leaves room for the reader’s imagination; not everything is concrete, it’s more a conjured world of dreams, in the same way that the Grimms' tales invite in the reader." February 21 through March 28, 2015. Inventive, brilliant, undaunted by complexity or scale mixed media artist Andrea Dezsö, masters a multitude of materials to execute numerous projects ranging from intimate graphite drawings, book illustrations, magnificent mosaics, paper tunnel books, large ink drawing, sandblasted glass, subway murals, colored marker on paper, a long list reflecting Dezsö’s exceptional capacity to take on any challenge regardless of medium. 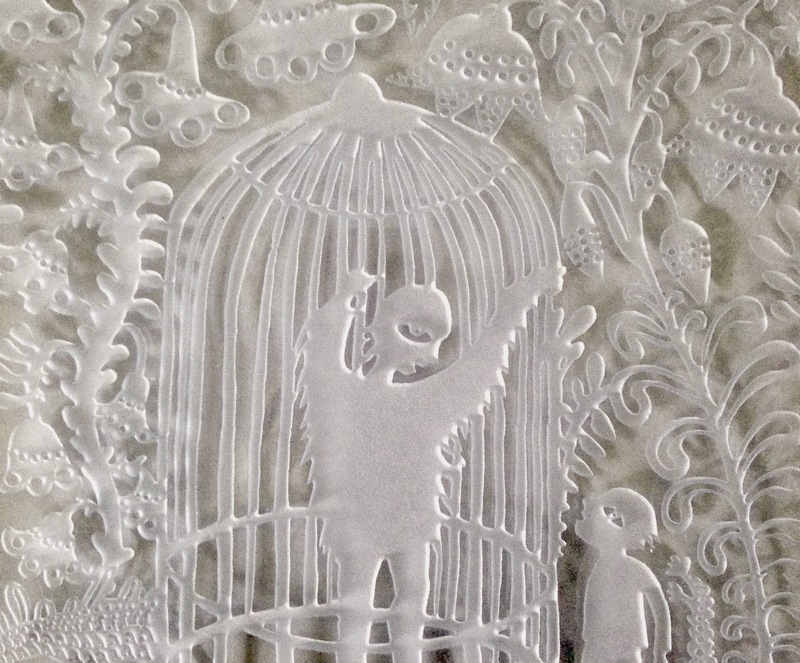 Growing up in communist Romania, Dezsö found art and literature allowed an escape from the rigid limitations the regime imposed on the lives of people. Absorbed, introspective, Dezsö took control of her life by creating her own worlds filled with wishful flights to charmed lands of dark beauty, and haunting iconography. Dezsö’s art, boundless, unrestrained blends a personal vision, contemporary sensibility with a touch of darkness born of Romanian/ Hungarian expression. In the current exhibition Dezsö brings together many creative moments, some familiar, others more recent. Utilizing the flat glass technique learned during a two week 2014 residency at Pilchuck Glass Dezsö succeeded in transposing the layering concept used in her popular paper tunnel books into multi layers of glass panels to form a tunnel book, ”Girl and Devil in Underwater Cave”, and four, one-of-a-kind single flat glass panels sandblasted with lively pictorial scenes. While visiting Hawaii in 2014 Dezsö made a series of marker drawings and one long drawing 112” x 36.75” made with marker, latex paint, ink, and collage. 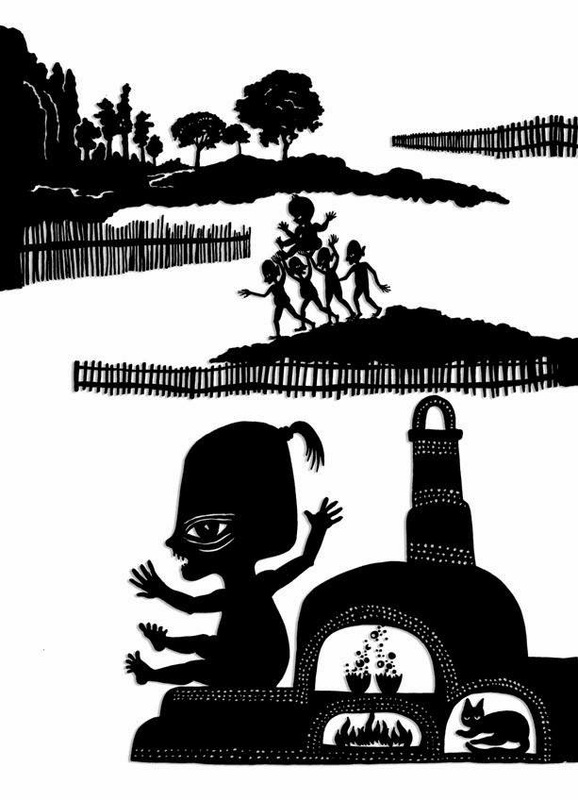 An exciting addition to the upcoming exhibition are the illustrations Dezsö was commissioned to do for the Princeton University Press publication of The Original Folk and Fairy Tales of the Brothers Grimm: The Complete First Edition by Jacob & Wilhelm Grimm, Translated and edited by Jack Zipes. It sounds amazing and hearing from people who have seen her work in person - it's rave reviews all round, something to be experienced that doesn't completely translate to a flat image on a computer screen. Hopefully one day I'll be lucky enough to get to see these in person. These bowls - they're just wonderful! 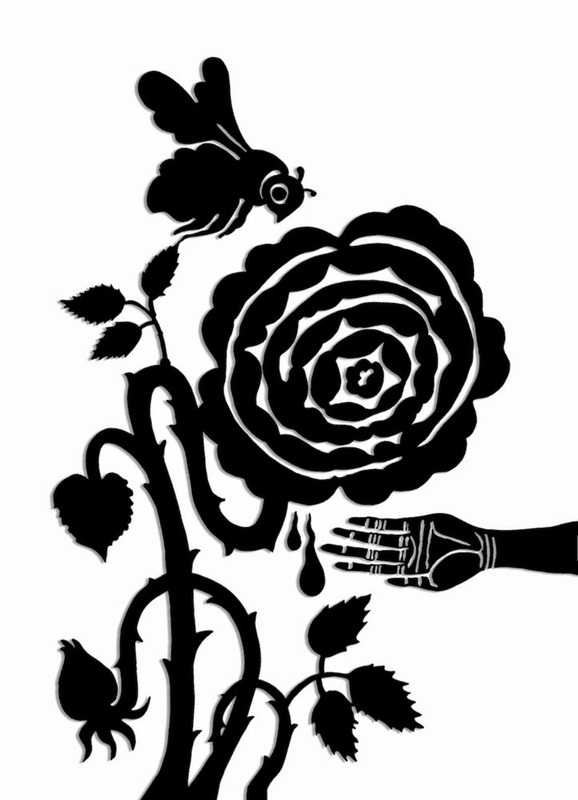 I strongly recommend you peruse Ms. Dezsö's website. 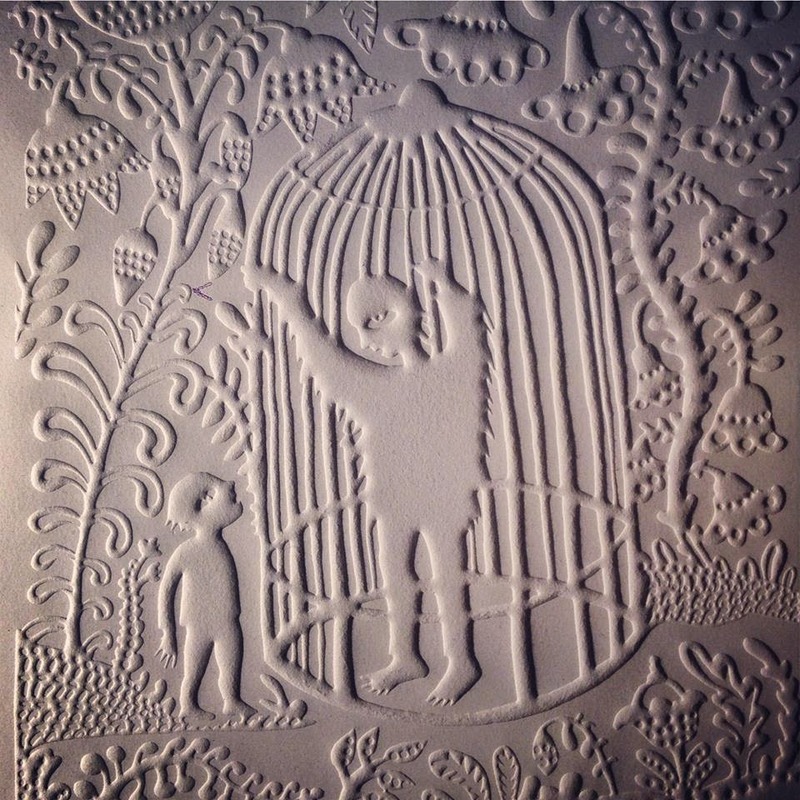 You'll see folktale references and fairy tale references throughout, including some originals of her own making. 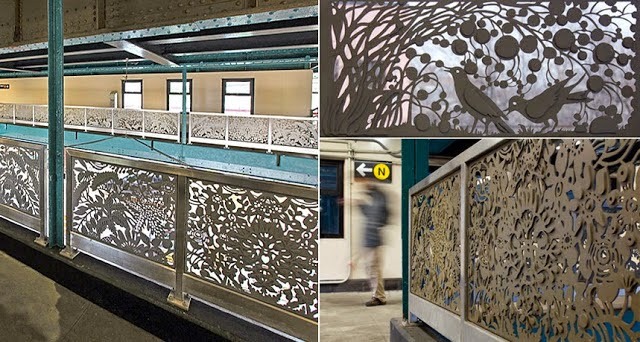 All are touching, some are raw, some are stunningly beautiful... and I envy the people who take the subway where those gorgeous stainless steel railings are installed and where her mosaics and other public art brighten up the tunnels! You can also keep up to date on the many exhibits and activities of this busy artist through her page on Facebook HERE. For a quick overview I've started putting together a Pinterest page where you can see a variety of her work at a glance. I predict you will not be able to "just glance" though, but will go for a further journey to closer... she's good at helping us do that. 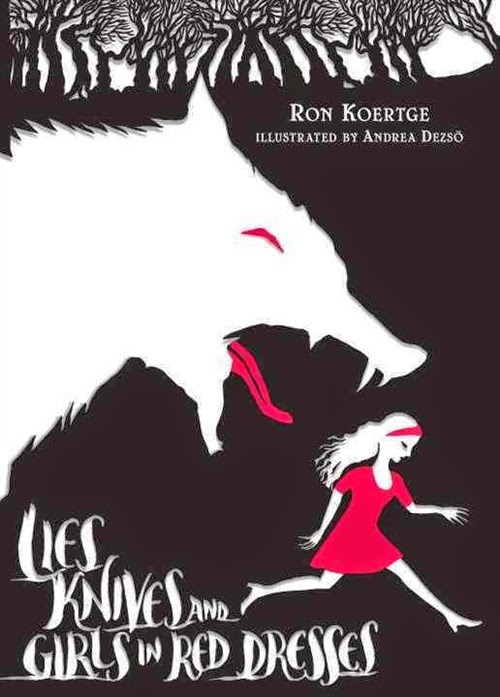 Writing in free verse honed to a wicked edge, the incomparable Ron Koertge brings dark and contemporary humor to twenty iconic fairy tales. 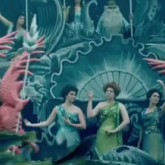 The concept (and the costumes, which look like none-too-imaginative cosplay to me) just seem to continue the trend of an hour-long ad for Disney products, rather than be a unique spin on fairy tales or adding to the overall mythology of fairy tale villains. 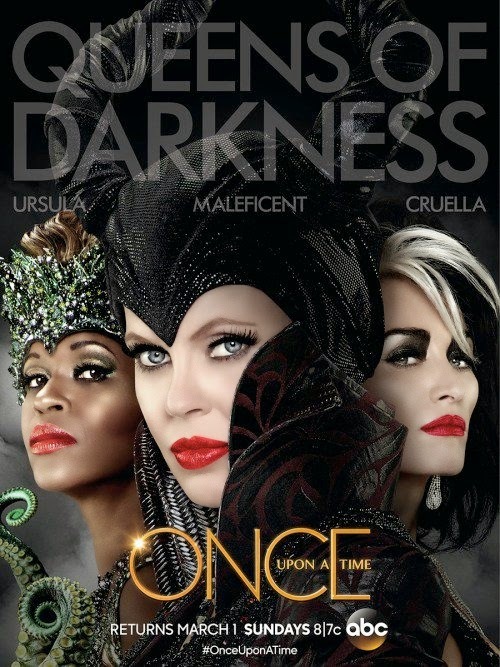 Once Upon A Time continues with the second half of season 4 on Sunday, March 1st. 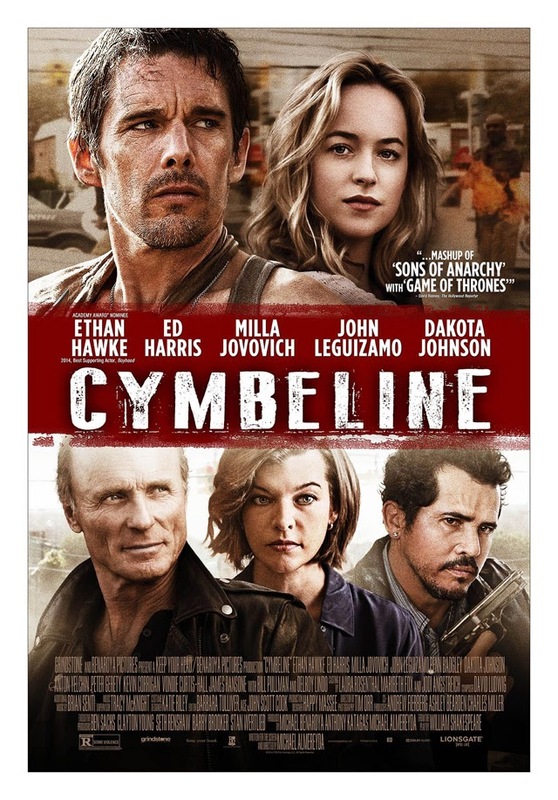 A poster was just revealed for the upcoming movie release Cymbeline. (This movie was originally planned to be released in 2014 so there have been some delays and reworkings.) It's a modern (and very violent, it would seem) adaptation of Shakespeare's Cymbeline (which was also violent but had clearer fairy tale elements). For those wondering why I'm putting something Shakespeare-related on the blog, Cymbeline is often regarded as "Shakespeare's Snow White" as it has so many of the key motifs and elements of the tale in a specific combination the parallel can easily be made. Did Shakespeare know the Snow White story or one of the many variants? Although it seems unlikely that he did, considering the timeline of certain collections with regard to Shakespeare's own dates, the Decameron is listed among his sources when creating the play and may have been one of those texts also seen by the Grimm Brothers in their studies (I haven't looked at this very much in depth but this discussion was started long ago on the SurLaLune boards HERE). With regard to the upcoming movie, will any Snow White variant be detectable? Beyond the basic set-up of jealous "queen", huntsman and the girl finding her way through grit and wit and possibly a death-like sleep, I'd be surprised if the usual Snow White parallels remain, though you never know. If they stuck closely to Shakespeare's Cymbeline, there will be more classic fairy tale elements there than you'd ever think from the poster above. (You can read a break down of the similarities between Cymbeline, Snow White, Othello and King Lear by Quill and Qwerty HERE.) An interesting note is that the film was titled Anarchy for a short while but is back to being Cymbeline. That should give a few clues about the film right there. Ethan Hawke (Edit FTNH: who did the modern day New York update of Hamlet with the same director) co-stars with Ed Harris as two players caught up in the middle of a war between dirty cops and an outlaw biker gang which forces a drug kingpin (Harris) to desperate measures. The ensemble cast includes Milla Jovovich (“Resident Evil” films), John Leguizamo, Dakota Johnson (Fifty Shades of Grey), Penn Badgley, Anton Yelchin, Bill Pullman and Delroy Lindo. Cymbeline will be released in select cities on March13, 2015, and will be rated R.
I will admit I sort of yawned my way through this announcement, initially - Disney Junior is starting production on another fairy tale mash-up animated series, etc, etc.. - until I saw a very familiar name in the text: Maria Tatar. I had to back it up and take another look and, given the lateness of the hour I'm writing, I thought I'd fallen asleep and was wish-dreaming but no, it's all there in black and white. I've put the most exciting news in bold below. Production has begun on Disney Junior's "Goldie & Bear," a fairytale-inspired animated series for preschoolers. Slated to debut in Fall 2015, the series follows the adventures of newfound friends Goldie and Bear, following the renowned porridge incident of "Goldilocks and The Three Bears." 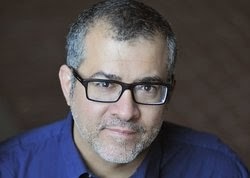 ... (EVP) Kanter said, "Disney Junior embraces strong storytelling and memorable characters, and nothing reflects that more than classic fairytales. We are excited to continue the story of 'Goldilocks and The Three Bears' from a new perspective and hope to inspire kids to create their own 'happily-ever-afters' by giving them new stories featuring classic characters they already know and love." Set in the Fairytale Forest, the series follows the adventures of plucky Goldie and her best friend, Bear, as they encounter well-known characters from fairytales and nursery rhymes, including Little Red Riding Hood, Humpty Dumpty and The Three Little Pigs. 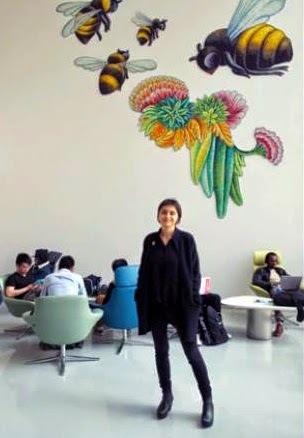 Maria Tatar, John L. Loeb Professor of Germanic Languages and Literatures at Harvard University and Disney Junior Advisory Board Member, serves as the series consultant, advising on storytelling, fairytales and folklore. The importance of storytelling is central to the show's curriculum, with episodes referencing original fairytales and nursery rhymes while providing new insights into their narratives and underlying messages. Throughout the series, Goldie and Bear model friendship and community, demonstrate creative problem-solving and exhibit critical thinking skills such as logic and strategy. The writer/creator isn't a newbie with regard to fairy tales either. 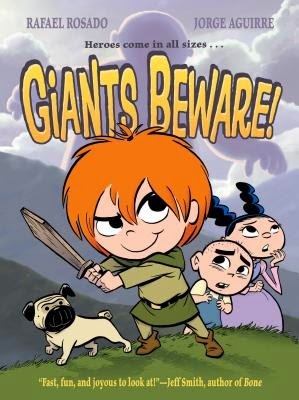 Jorge Aguirre has had his own brand of fractured fairy tales in the form of the popular kids comic book, Giants Beware, (see above) out there for a while now. (And coming soon, Dragons Beware). 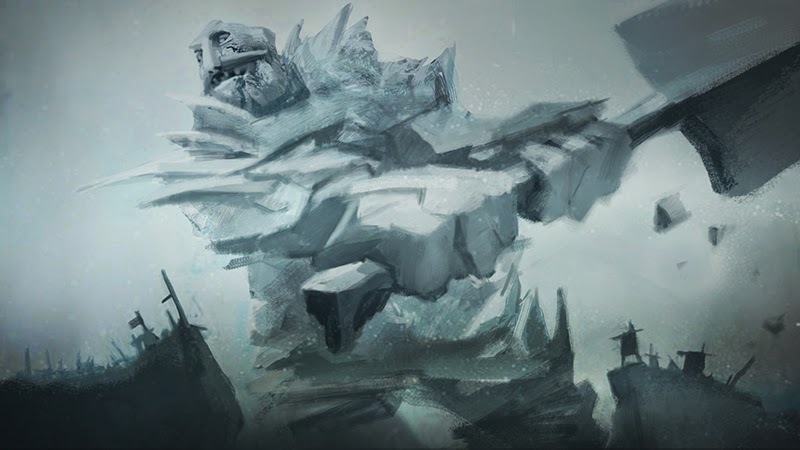 You can read more on the talent and crew, along with a few hints as to the characters we'll be seeing, in the whole announcement HERE. Between this and other developments in various companies in various places, it does seem that there might be some sort of "old tale revival" happening - at least for children. I could NOT be happier about this! 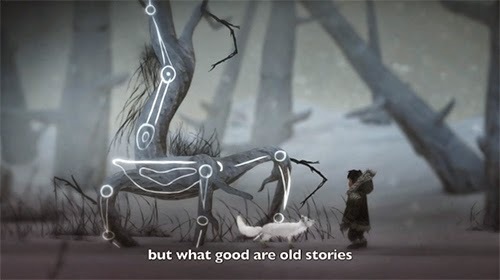 "What good are the old stories... if their wisdom is not shared with anyone?" 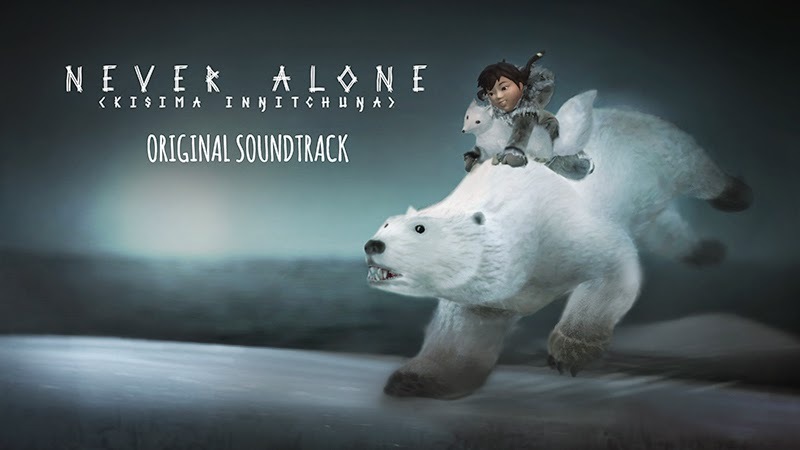 I posted on Never Alone initially when it was released (you can read that HERE, along with lots of beautiful pictures and many more resources about the tales, which I won't repeat in this post), but this week, they've just come out with a host of game improvements/upgrades, are releasing a soundtrack this week (yes, it's become that popular!) and are expanding the systems you can play it on, to include Macs (Apple computers), starting this Thursday, February 26th (currently available for XBOX ONE, PS4 and Steam), The soundtrack will be available through the Steam store at the same link. 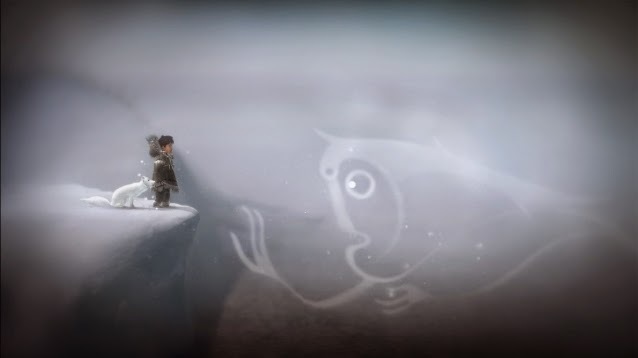 Never Alone's mission is to bring the old and fading indigenous tales (of the Iñupiat people) back into circulation and popularity among current and future generations. That sounds ridiculously lofty - like an idea that would ultimately gather dust in some enthusiastic, but sadly naive paper somewhere, but here it's actually happened. Not only has this video game educational tool been created, it has been done in the best way possible, with the combination of young, intelligent, technologically-savvy young people who among the best in their field, in conjunction and under continuous consultation with tribal elders. Yes. 70, 80+ year old traditional tribal elders are not just talking with, but working with hip (and geeky) youngsters who think in RAM, terrabytes and all things digital. Not only that, it draws on old traditions to inform the design style and the development of the storytelling! 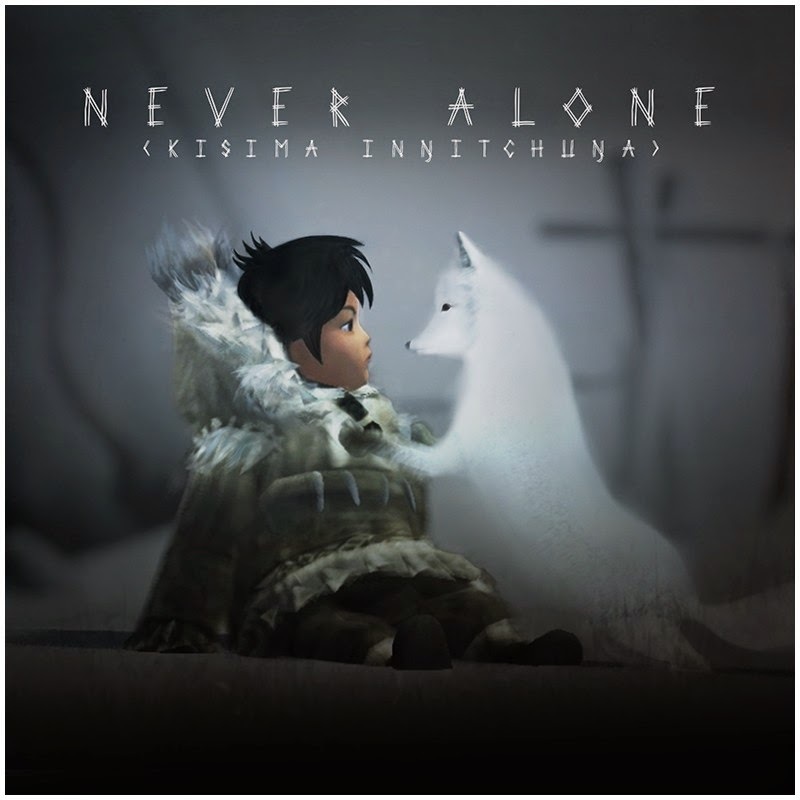 Never Alone is our first title in an exciting new genre of “World Games” that draw fully upon the richness of unique cultures to create complex and fascinating game worlds for a global audience. The best of the old meets the best of the new. And it's a beautiful thing. 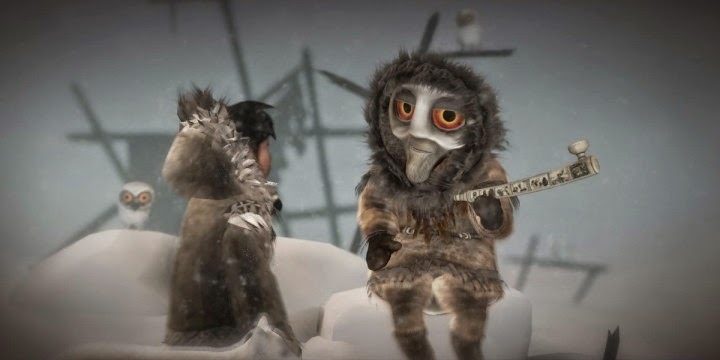 The result is a stunning, gorgeous and unique interactive storytelling-puzzle-and-platform game that leads the player through discovery of characters from tales, challenges from stories and triumphs via ingenuity and putting learned principles (and game skills) to good use. Contrary to what you might think, this little indie game isn't just waiting to be noticed. It's out there making waves with it's approach, style and beauty of both storytelling and game design, as the developers confidently take it to all the leading game conventions and meetings. As a result, it's quickly earning worldwide recognition AND garnering some coveted awards along the way. I feel like this is exactly the sort of thing we need to be aiming to do to get old stories back in circulation. We need to meet the influential (often young) people (the trend setters, the most influential demographics) on "their" territory, speaking their language (technology, social media and video games) and give them reasons to want to tell and retell these tales themselves. That's the only surefire way old tales will make it back into common knowledge and that's the way the wisdom and knowledge in these tales will be passed on to benefit people now and in the future. Creating a widely respected and loved video game is a wonderful way of doing exactly that. 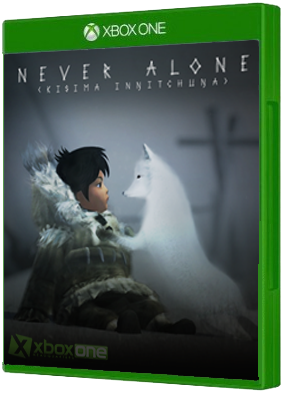 I'm so moved that the vision for Never Alone has been made real and is proving to be exactly what they set out to be: influential. Not only that, it's enriching the lives of the developers, the creation team, the communities supporting them AND the gamers and the industry professionals that are coming into contact with it (ie. inward and outward). It's nothing short of magic. It's the sort of difference I want to make, to be a part of - where the tales are alive and vital in ways that connect us to our past and pave the way for a (hopefully better) future. From their newsletter this week, below is a summary of the current awards to date. 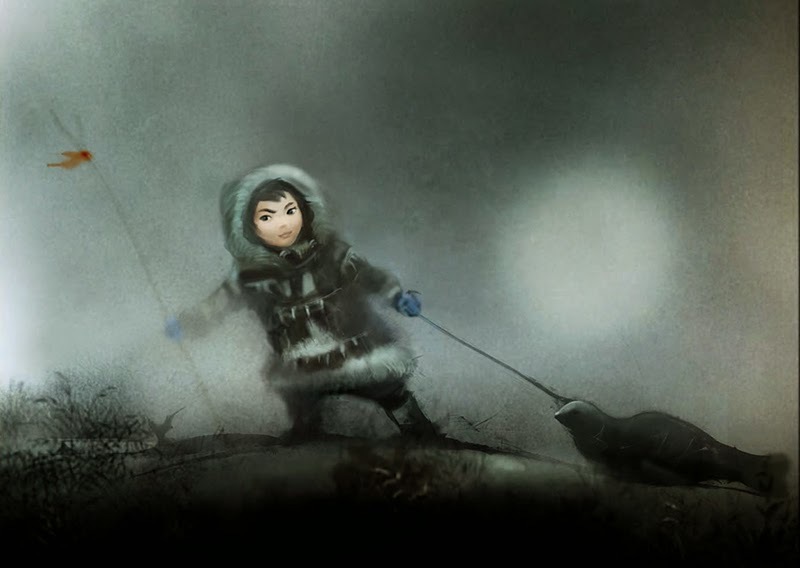 Never Alone received an Editor's Choice designation at E3 and PAX from Destructoid and Polygon, respectively. We were also a finalist at IndieCade 2014. After the game's launch, we received even more award nominations: The Game Awards. The DICE Awards. The Game Developer's Choice Awards. The SXSW Gaming Awards. And most recently, the British Academy of Film and Television Arts(BAFTA). It's truly an honor to be nominated alongside our peers — it inspires us to make even better games and tell stories in new ways. Congratulations to the unique and wonderful team at both E-Line Media and the Alaskan Native Cook Inlet Tribal Council! 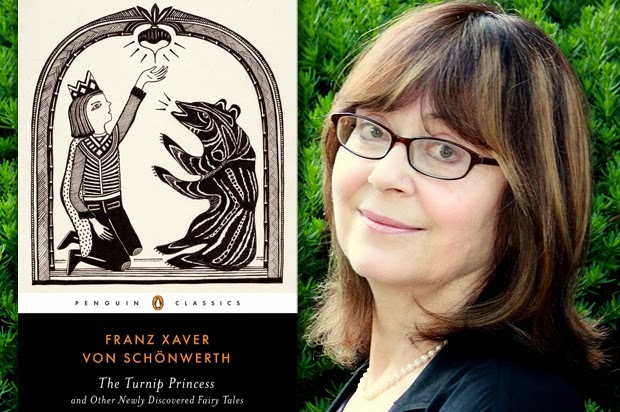 Release Day: Schönwerth's "The Turnip Princess and Other Newly Discovered Fairy Tales"
There are two books I have been extremely excited about the last few months. One of them is Jack Zipes' recent translation (and commentary) of The Original Folk and Fairy Tales of the Brothers Grimm, that is, the first edition they ever put together, in English, so we can finally read it in total for the first time (I'm using the present tense with regard to my excitement because I am still reading it and very much enjoying it). I plan on doing a special post just for that book when I'm done but I can tell you without doubt that if you're really interested in fairy tales, how they are told, recorded and the influence of the Grimms, then you need this book. Yes. Need. 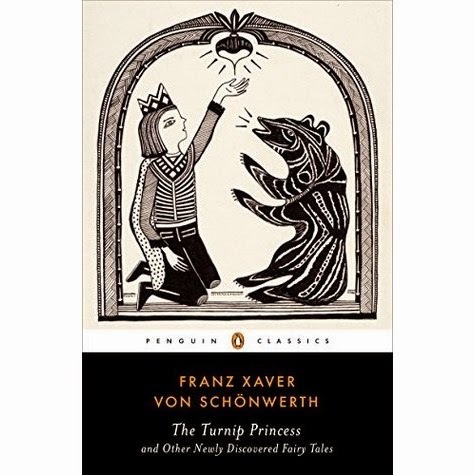 The second is the one being released today: Franz Xaver Von Schönwerth's newly-translated-into-English collection, The Turnip Princess and Other Newly Discovered Fairy Tales. We've heard a lot about how "raw and unsanitized" they are, and how devoid of editing the transcription of these tales was in general but unless you've read a lot of old tales (and even if you have), you're probably in for more than a few surprises. 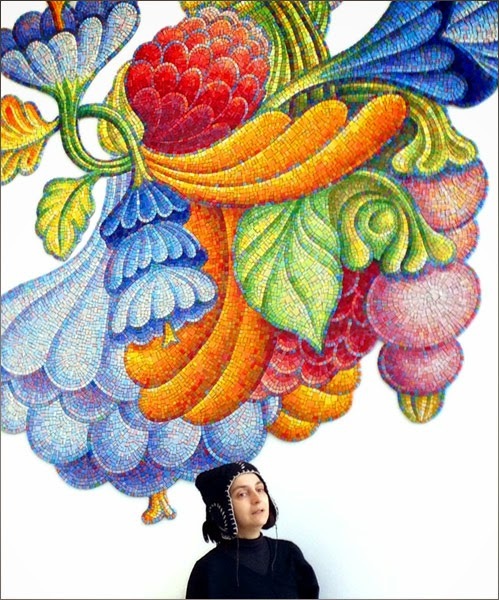 Tatar: What we have here are stories that are less mediated than most of the more familiar fairy tales and folktales. There’s a primary process of storytelling going on. They’re less heavily edited and they’re uncensored. The Grimms took great liberties with the stories they collected. 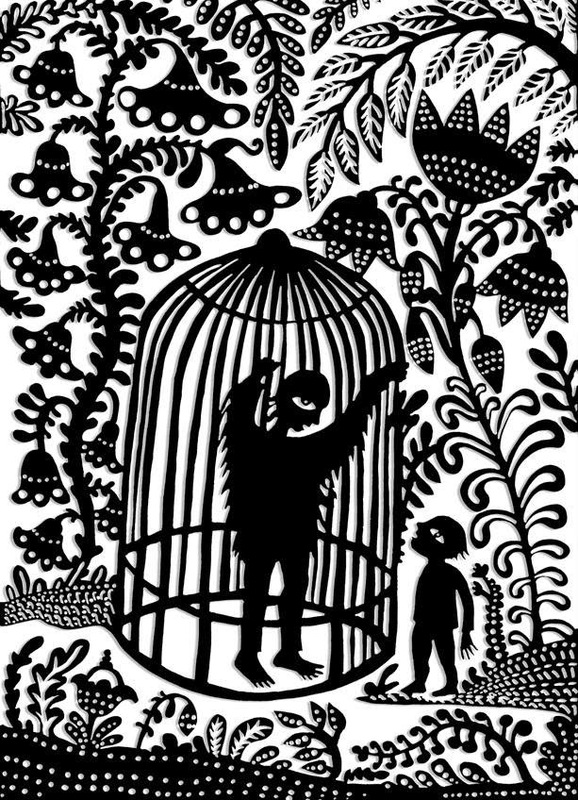 The genius of the Grimms was to create this compact, standardized form of the fairy tale. They almost invented the genre of tale that is part of an oral storytelling tradition but also in the literary culture. Schönwerth, on the other hand, was not interested in readership as much as in just capturing the tales as they were told to him. One example in this book is a version of the well-known story of “The Valiant Little Tailor,” the guy who kills seven flies with one blow. 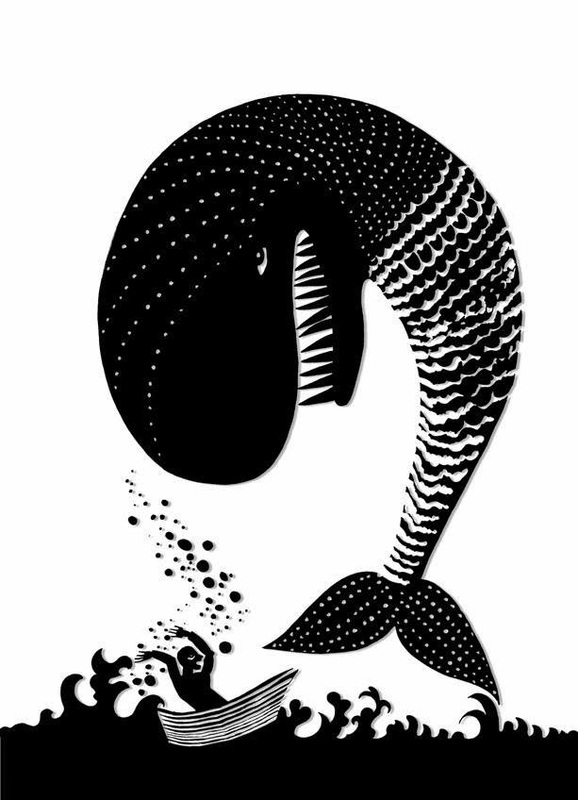 The Grimms’ version has the flies hovering over a sandwich that the fellow has made. In Schönwerth, the flies are hovering over a dung heap. So that gives you a sense of the raw energy of the stories and the way that Schönwerth decided he was going to tell it straight up, tell it like it was. Salon: ... You mean that he’s interested in recording these as accurately as possible, not in creating a bestselling book, like (the Grimms)?Tatar: Or (creating) a standardized form for the fairy tale itself. I think you have it exactly right, that is, it’s more of an anthropological, folkloristic model. Schönwerth just refuses to homogenize the stories, and so you find that there’s a lot more gender bending in Schönwerth. There isn’t that strict division of gendered labor that you find in the Grimms. The Grimms don’t have a male Snow White, for example, whereas Schönwerth does. Schönwerth has a male Cinderella. He has a boy who wears out iron shoes while searching for the woman he loves, a figure who is a girl in “East of the Sun, West of the Moon.” He has a prince who gets under the bedcovers with a frog so she can be turned into a beautiful princess. You just don’t find that in the Grimms at all. What I really love about fairy tales is that they get us talking about matters that are just so vital to us. I think about the story of Little Red Riding Hood and how originally it was about the predator-prey relationship, and then it becomes a story about innocence and seduction for us. We use that story again and again to work out these very tough issues that we have to face. My hope is that this volume will get people talking about not just the stories and the plot but the underlying issues. There is so much more in this article I'd love to point out and discuss - you can read the whole of it HERE - but for now, let's just get our copies and read it first. Discuss later! For the past several months I have been working on interpretations of some tales from another translation of some of Schönwerth's collection. 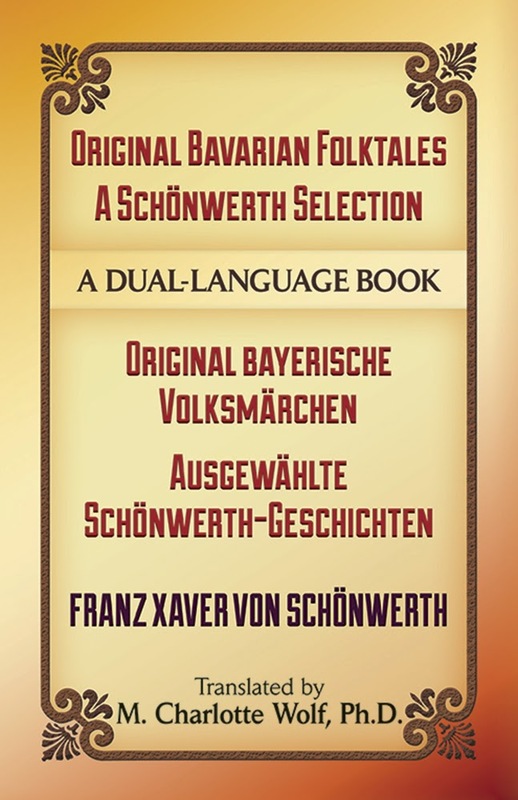 This volume is translated by M. Charlotte Wolf (Dover publication 2014) and is titled, "Original Bavarian Folktales: A Schönwerth Selection." There are 150 tales in this dual-language edition. In the recent hoopla about the translation coming out by Maria Tatar, this volume published last year seems to never be mentioned. I am happy to see that Tatar is translating more of the tales, and I do love reading and working with the stories from Schönwerth's collection, but I just want to say that the translations of Wolf are really finely done and deserve attention! In her introduction, she gives a very thorough account of the manuscripts ("thousands of handwritten pages in 30 ungainly boxes"), their discovery in 2010, the publication of "Prince Dung Beetle," etc. The volume is worth looking at, for those of you who want to have the whole story! As for the rawness, I do find Schönwerth's collections to be very raw and exciting to work with. As a psychological interpreter, I find the archetypal images to be amazingly close to the bone, so to speak, and I have been gaining so much from the work I am doing with these tales! You can read her whole comment HERE. 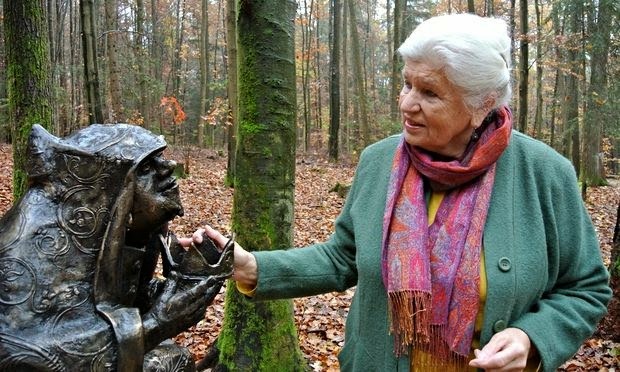 Note: For additional reference, HERE is the link to an earlier article from The Guardian, focusing on Erika Eichenseer, (pictured below), who is largely responsible for the revival the Schönwerth collection. It's a good read too. 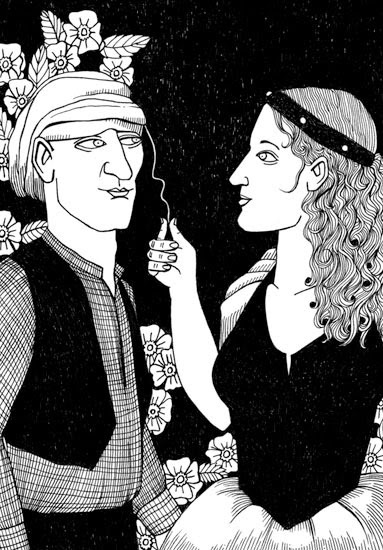 There's also the New Yorker article from 2012 HERE, focusing on the "rediscovery" of those lost "Cinderfellas" that's worth a re-read as well. I have been unsuccessfully attempting to track down information online, on the newly opened (September 2014) Schönwerth Fairytale Road (yes, Fairytale is apparently one word - perhaps because it's translated from German Märchen which only needs the single word? 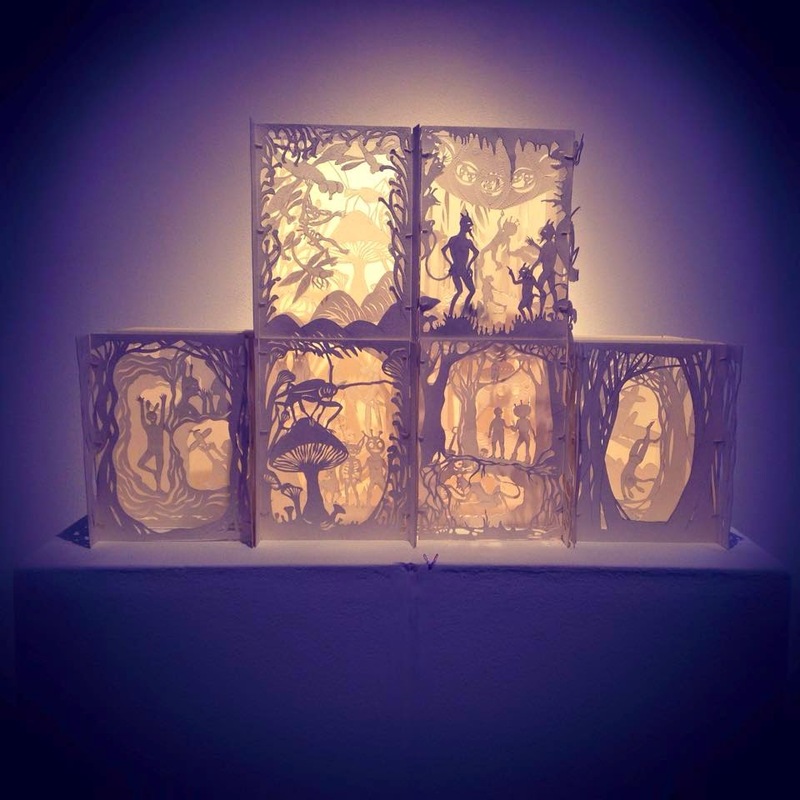 ), in which contemporary artists have created works based on his collected tales. In Schönwerth fairytale path... seven Schönwerth tales are presented on forests, nature and environmental focus. Here visitors will primarily come to rest and feel the forest as a place of silence, meditation, relaxation, inspiration and motivation, as well as teaching values ​​and philosophy of life, enjoy, experience, comprehend with all their senses. 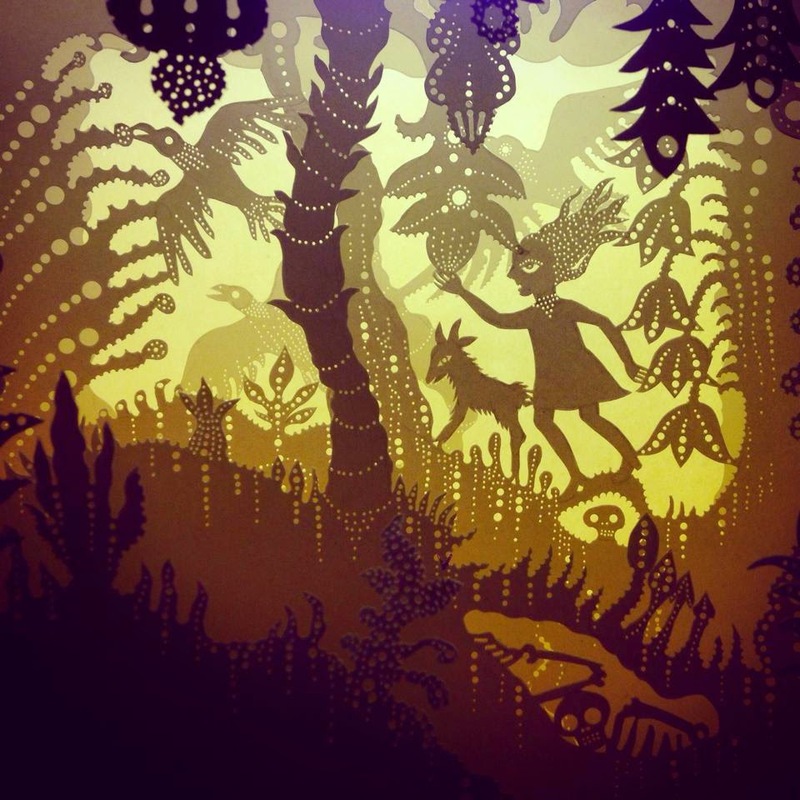 Playful, are given an insight into the myth of "Upper Palatinate fairy tales and legends" children and adults. The imagination should be encouraged, and still carry on emotional-mental recognizing, understanding, interpreting to own creative work, ie for self-telling yourself writing, DIY Painting, DIY-crafts, games etc. The practical application of from fairy tales won lessons to their own lives are more overarching objectives. Ultimately, should be expanded by Schönwerth Wonderland path of awareness and appreciation of Schönwerth and his work in the general population and sustainable deepened. 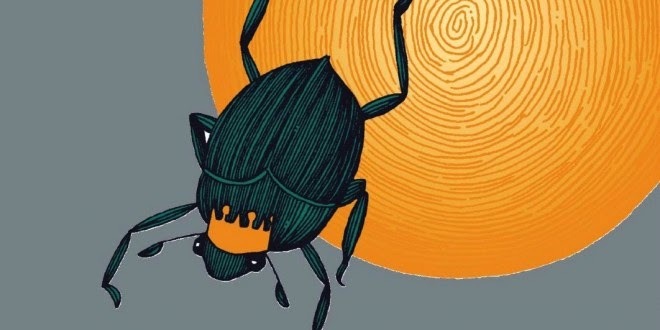 One of Schoenberg Werth's most beautiful fairy tale prince Roßzwifl (dung beetle, Scarabaeus sacer, scarab). 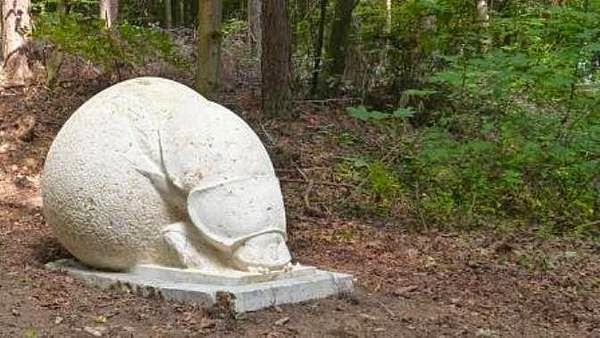 Since this beetle with his egg-ball also lives in the forest experience center, he stands at the entrance to the monumental tale path. The ball is security, home, Ward, safety, but also maturation, transformation, which wants to convey the Schönwerth Society with this device as well. Local artists exhibit the above tale is symbolic and artistic value, to improve the motivation to think and put the imagination of the individual no limits. Sounds interesting doesn't it? And I'm curious about the children's aspect... we've been given reason to believe these tales are anything but child friendly (but that doesn't mean children can't be told them in the correct context, in a suitable manner). Perhaps it's because I don't read German well enough to be able to find the right links or perhaps there just isn't record of it and I need to contact The Schönwerth Society directly to find out more, but I'm especially curious about this: What do the works look like in context? What inspired the artists? How will it practically serve to help keep these "newly discovered" tales in people's consciousness? In case you're as curious as I was, below is a summary of the installations, the tales they reference and the artists who created them. 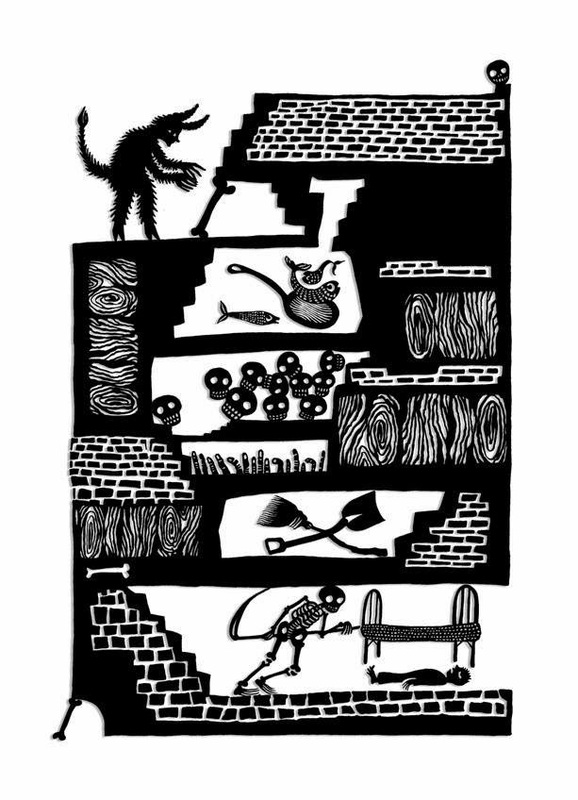 Ask Baba Yaga: What Do People See In My Boredom? A Thank You To "Tales Of Faerie"
Gabriel Pacheco's "The Jungle Book"
Ask Baba Yaga: Should I Be Less Shy? Calling All Writers Who Love To Read! 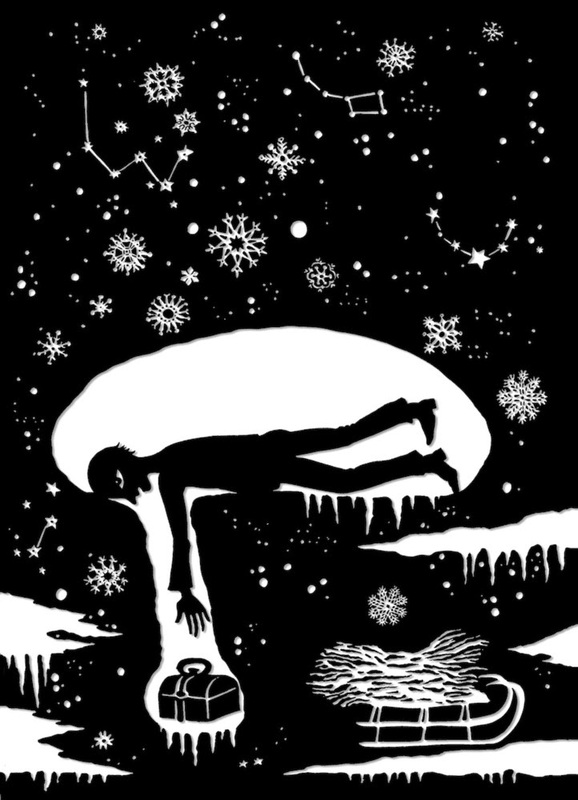 Ask Baba Yaga: How Can I Create Stability?